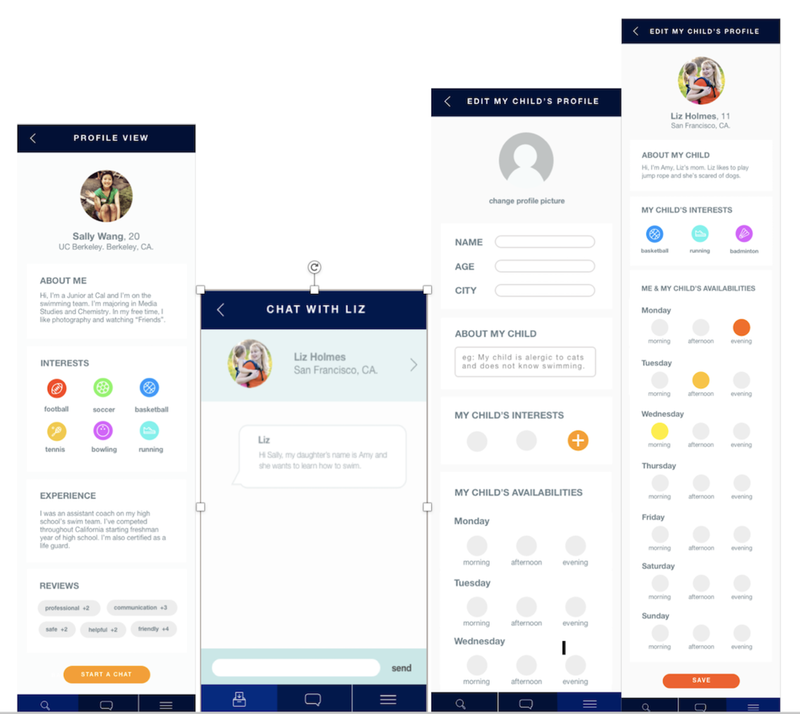 A MOBILE HEALTH APPLICATION THAT ALLOWS PARENTS TO CONNECT WITH VOLUNTEERS TO HELP OVERCOME THEIR CHILD'S SEDENTARY LIFESTYLE ISSUES. To create an application that conformed to guidelines of the "Mobile Health Applications for Consumers" Design Competition. The main objectives of the design competition were (i) showcase the application of human factors/ergonomics (HF/E) methods and design principles to the design of a mobile health application for consumers or their nonprofessional support network and (ii) the application should be mobile health software accessible via a mobile device, with an option to integrate it with hardware and/or online services. We identified that the group that we cared deeply about was children and hence our application was aimed at resolving health issues faced by them. After initial research, we figured that one of the main health issues concerning the parents of young kids was sedentary lifestyle. 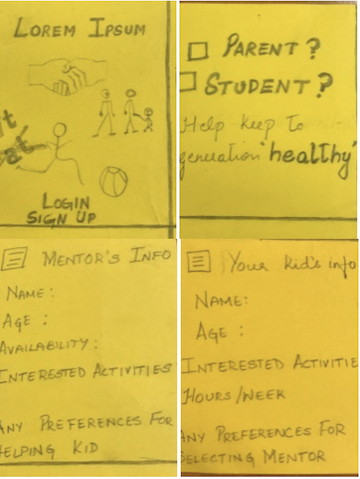 Our idea was to build an application that assists parents of children to connect with local volunteer college students who can help the child overcome sedentary lifestyle issues based on specific shared outdoor activity interests (Football, swimming, etc.). We conducted surveys, contextual inquiries and informal interviews that indicated a positive response to the idea from both parents and volunteers. With this data, we created work models, personas and scenarios. These helped us in gaining the needs of our users and ensuring that our design caters to these needs. In our next step, we created several storyboards and lo-fi prototypes showcasing various features and user experiences. We then conducted usability tests, think alouds with a different set of target users to augment the experience in our mid fidelity prototypes. In a similar fashion, we rapidly iterated through various mid-fi prototypes and hi-fi prototypes incorporating feedback in each iteration. We conducted a last round of usability test with our final hi-fi prototypes that provided an entire user experience. We developed a interactive hi-fi prototype after working for several months that was ready to be implemented. The design and research process helped us uncover various features that we had not considered initially. Some of the feedback involved such subtle nuances but impacted the performance of the application greatly and helped us prioritize the features to be incorporated in our MVP. Upon estimating, we observed that this saved an enormous amount of cost and effort.